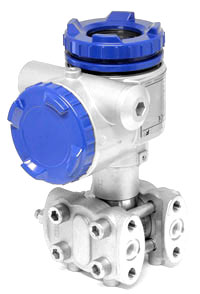 The Fuji Electric FCX-AII V5 series of differential pressure transmitters use a silicon micro-capacitance cell proven on thousands of difficult applications.Typically Fuji Electric transmitters are installed in harsh environments on oil pipelines, power stations, gas compressor stations, water treatment plants and steel plants. They have European, American, Russian and Chinese approvals. Field repair is possible using only one amplifier for all pressure transmitter types. Suitable for installation in hazardous areas as Exia (intrinsically safe) of Exd (explosion proof) transmitters. The FCX-AII V5 transmitter is the only DP transmitter of its type with a design static pressure of 1035Bar. Oil & Gas producers are drilling to new depths to keep up with demand, but this creates problems for traditional differential pressure transmitters, that are not designed to operate above 6000PSI (414 barg). 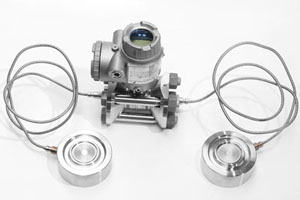 Differential pressure transmitters can be used to measure, flow, density, viscosity and level. DP transmitters measure the pressure drop across orifice plates, venturi tubes, pitot tubes or some other form of primary flow element. In these applications there is a square law relationship between the differential pressure and the flowrate. When specifying a dP transmitter for a flow applications the type of fluid, line pressure and temperature as well as flow turndown should be known. Fuji Electric have recently released the worlds first DP transmitter which will measure differential pressure at line pressures up to 1035 barg!. This "high static pressure" device is particularly useful in the oil and gas industry as producers drill to new depths to recover product. DP transmitters measure the difference in pressure between two points in a vertical plane. The density being proportional to the difference in pressure. in this application a fixed flowrate is pumped through an orifice plate at a constant rate using a positive displacement pump at a known temperature and pressure. By measuring the differential pressure across the orifice plate, the viscosity of the fluid can be measured. in this application the level in a sealed tank can be measured by comparing the pressure at the top of the tank, with the pressure at (or near) the bottom of the tank. Fuji Electric DP transmitters have the capability to compensate for tanks with irregular shapes. Applications in HVAC, water treatment, food, paper, pharmaceutical, chemical, petrochemical, offshore, sub-sea and nuclear industries can be satisfied by this range of transmitters. By selecting from a large range of materials, we are able to customise the transmitter and supply remote seals. We temperature compensate the whole assembly to maintain the highest level of performance. Selecting from 316SS, Hastelloy, Monel, Tantalum, Gold and Ceramic we can custom build a transmitter to our own high standards, or to your individual specifications. 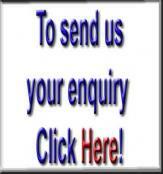 For transmitters to suit any of the above applications, please do not hesitate to contact us. 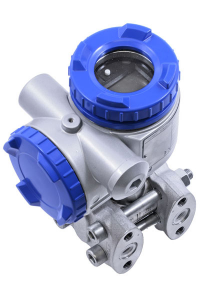 If you would like to know more about Differential Pressure Transmitters and how it works please check our Beginner's Guide to Differential Pressure Transmitters. No Downloads have been defined. For high performance pressure measurement up to 1035 bar. Fuji Electric is the only manufacturer to go as high in pressure with high accuracy DP transmitters.